Find a vacation home to rent in Slovenia from our list of vacation rental properties. 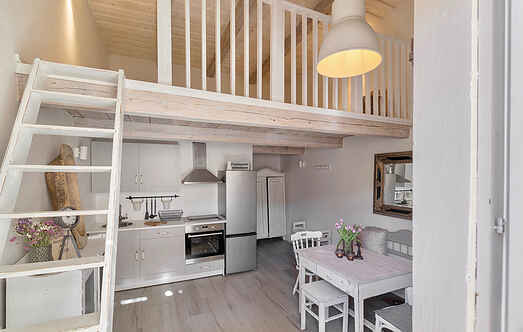 Campaya has over 394 vacation homes available in Slovenia, which give you the possibility to locate a unique accommodation in Slovenia which completes your check-list in search for the perfect self catering vacation apartments in Slovenia or vacation villas in Slovenia. At the top of the hill, in an idyllic, mountainous area, there is a household surrounded by beautiful forests. This comfortable apartment is located in a beautiful, renovated Istrian house. The apartment is located in a quiet part of Divača, on the ground floor of a house on the edge of the village. Modern, beautiful, comfortable mobile home "Big Berry Luxury Mobile Homes", built in 2016. In the resort, 50 m from the river, in the countryside. For shared use: property 25'000 m2, garden 100 m2. This cozy, old Istrian house is located in the picturesque village of Črni Kal on the edge of the Slovenian karst. Accommodation offers a comfortable stay for five guests. This comfortable two bedroom apartment enjoys a beautiful location with panoramic views of the entire Gulf of Koper. The apartment is located on the 1st floor, is well furnished and offers a pleasant stay for the whole family.